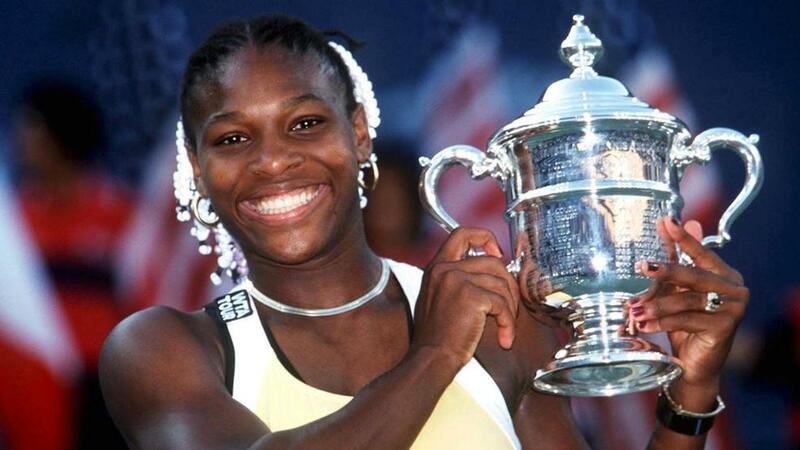 NEW YORK, NY, USA - It was this day in 1999 when Serena Williams went from great to legendary, beating four Grand Slam champions in a row to win her own first Grand Slam title at the US Open. She wasn’t a longshot for the title by any means. She was just 17 years old, but she was already the No.6-ranked player in the world, having picked up the first three titles of her career earlier in the year at Paris, Indian Wells and Los Angeles. And the Los Angeles title came right before the US Open. But the draw wasn’t that kind. Not only did she have four straight Grand Slam champions in her path from the fourth round on, but even before all of that, one of her toughest future rivals - and a future Grand Slam champion - pushed her to her limits in the third round. Serena had to fight back from 5-3 down in the third set to survive an inspired Kim Clijsters to reach the second week, 4-6 6-2 7-5. And then came the parade of major winners. Serena rallied to beat No.16 seed Conchita Martinez, 4-6 6-2 6-2, then her idol - No.4 seed Monica Seles - in an electric night match, 4-6 6-3 6-2, and then the No.2 seed and new Wimbledon champion Lindsay Davenport in the semifinals, 6-4 1-6 6-4. The No.7-seeded Serena then beat No.1 seed Martina Hingis for the championship, 6-3 7-6(4). She would wait nearly three years before winning her next one at the 2002 French Open, but the floodgates opened from there and now she’s got 23 of them, one more than Steffi Graf’s previous Open Era record of 22 Grand Slam titles and one shy of Margaret Court’s all-time record of 24. And it all started on this day in 1999 with her fairytale run in New York.